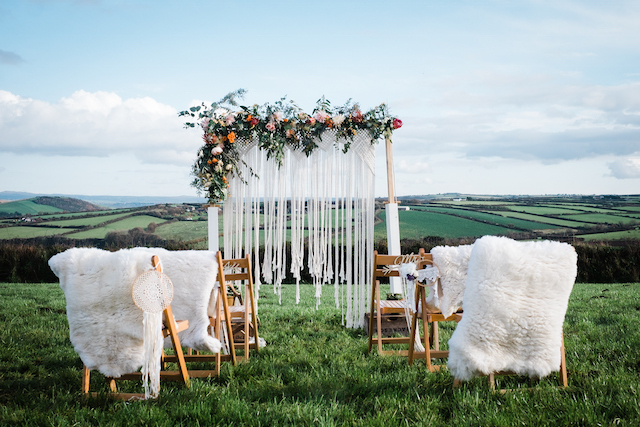 Wild Tipi provided us with one of their fabulous structures and tables, chairs sheepskin rugs all part of their hire items. 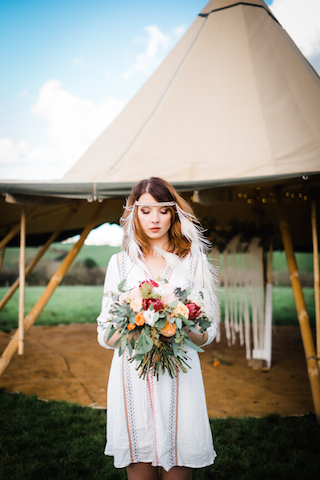 Tipi weddings provide great spaces to feast and dance the night away as well as visually giving your special day a strong identity. 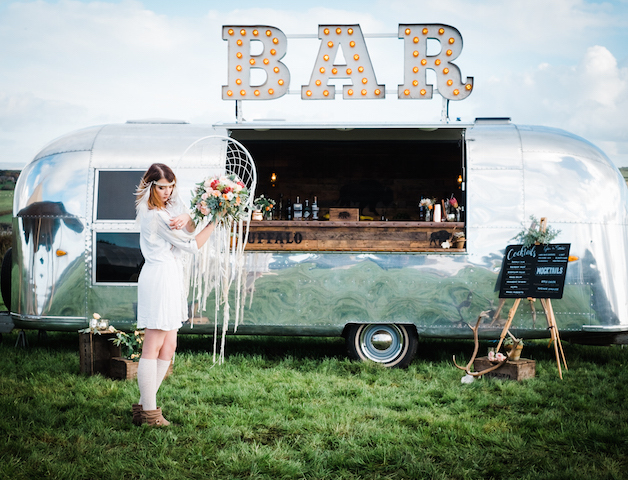 The Buffalo Bar Airstream looked fantastic at this cornish festival wedding venue with the surrounding landscape reflecting on its mirror finish sides. 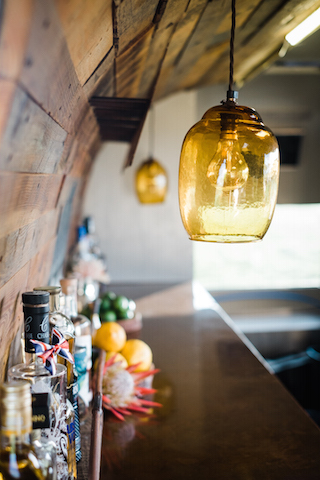 This cool airstream bar provides a real talking point. 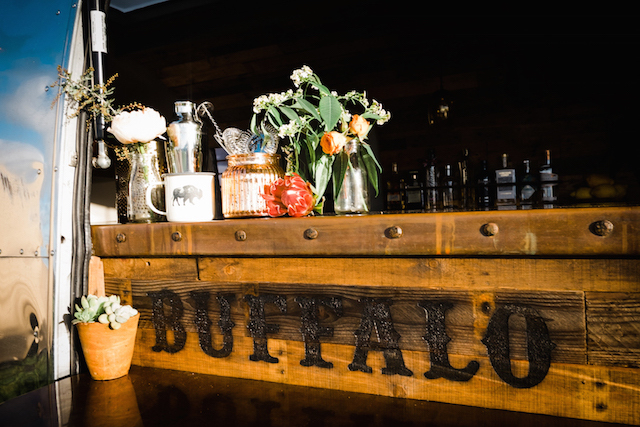 The Buffalo team creates extraordinary bespoke cocktails and excellent bar services all guaranteed to be a memorable experience for your wedding party. 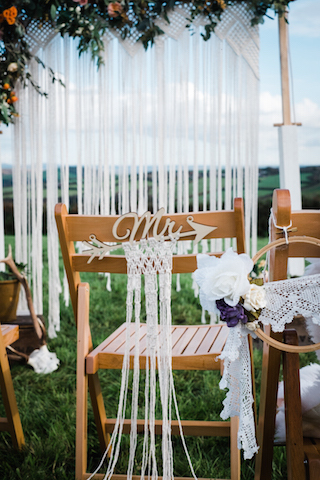 Our handmade macramé archway and accessories are available from The Green Gypsy to add the very on trend festival inspired additions on the day. 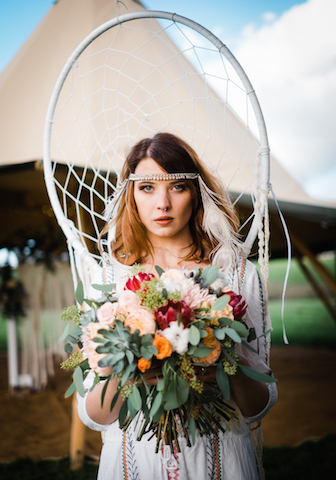 The Velvet Daisy added a riot of colour using eclectic blooms and foliage to enhance the aisle set up on the day. 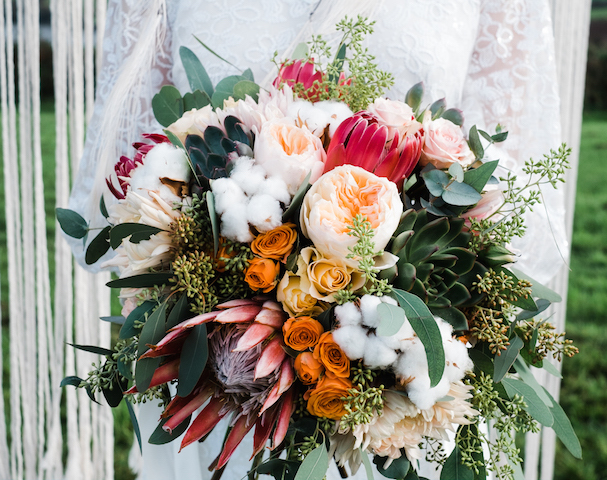 The flowers were also in abundance in the bouquet with additions of cotton and succulents which we also used to dress the table and cakes. 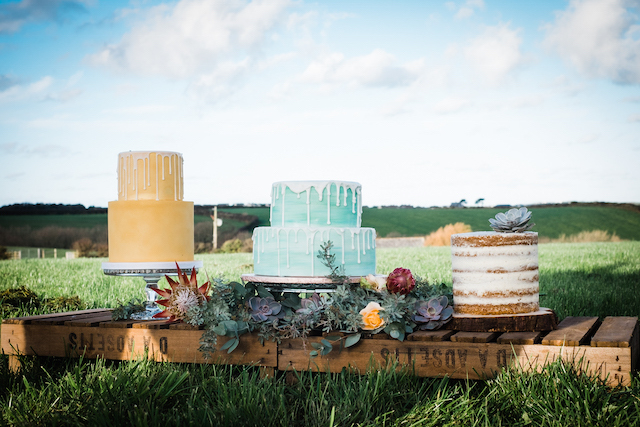 I wanted the cakes to be fun and contemporary and Donna Jane Cakes delivered these mixed tires full of colour and textures. 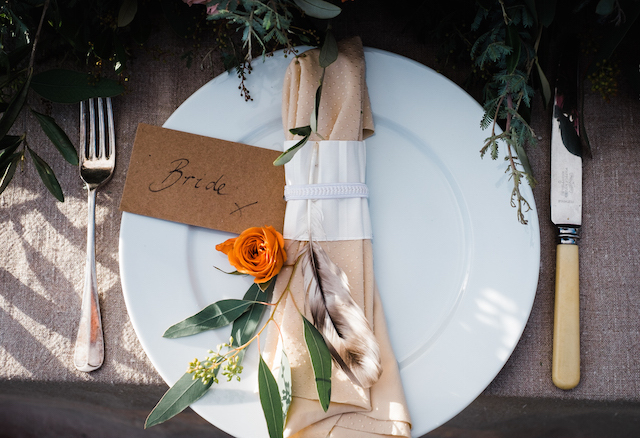 Many couples opt for separate tiers these days giving more options for choice and creativity. 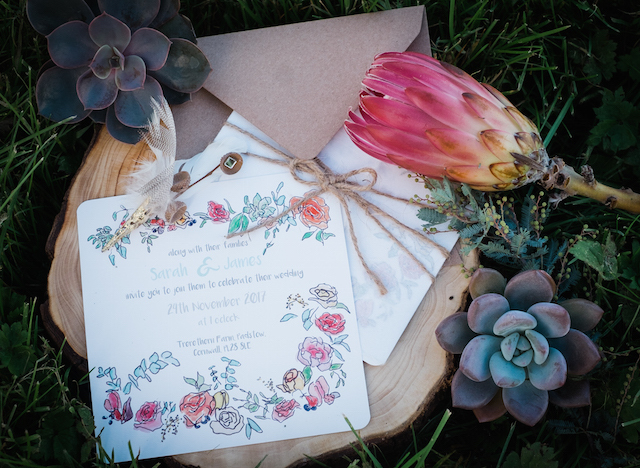 The final table setting I created was enhanced by the stationary produced by Water Colour Woodshed who echoed the colours and laid back vibe we were looking for. 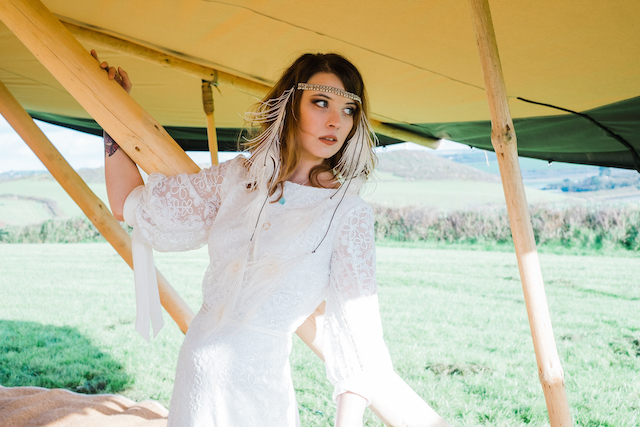 Our stunning Model Abigail wore a bespoke dress handmade by Christine Trewinnard. 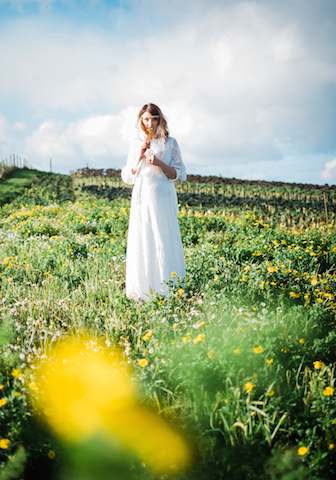 The backless sleeved lace overlay gown was perfect for our shoot, a 70s silhouette with attention to detail and impeccable fit. 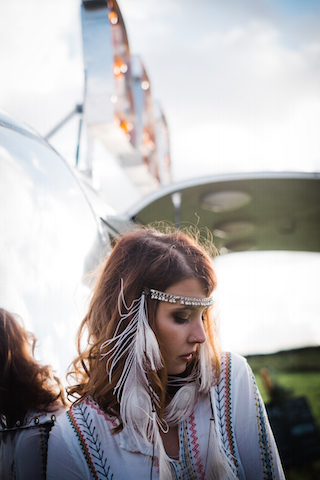 Abigail’s hair and make-up worked with her warm tones and was all created by Nic Courtney Make-up. Nick created a strong but wearable natural look with a modern feel. 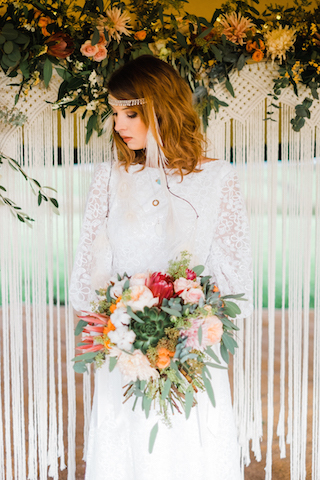 I accessorised our bride with delicate handmade jewellery from the Beach Comber Devon who use fragments of pebbles and sea glass to make stunning unique items such as necklaces as seen here. 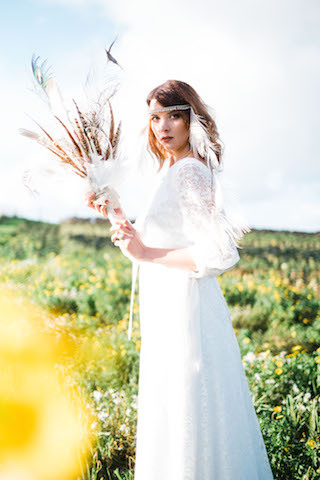 The headdress and feathers bouquet were made by Feathered fantasy. 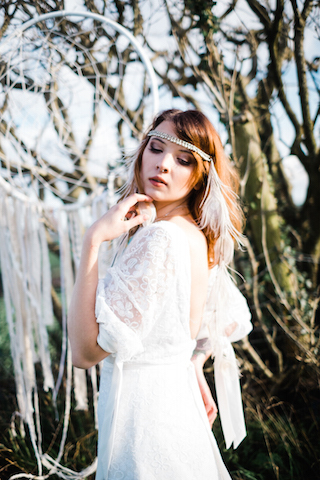 I loved the white peacock feathers and silver headpiece so much. 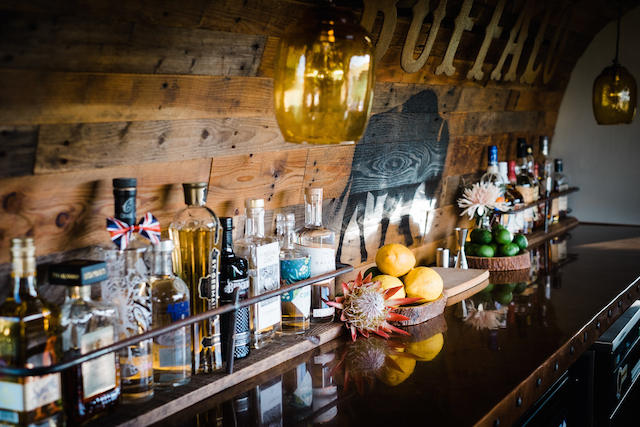 Our team of suppliers have showcased their skills but also the collaboration and teamwork involved in delivering the best for any of their clients. 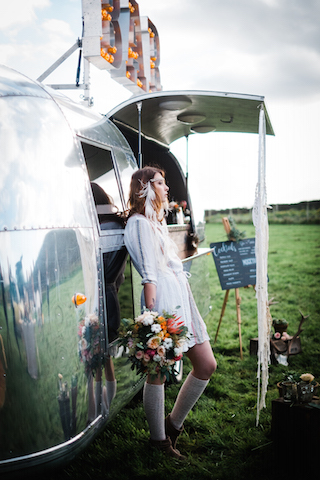 All of this was captured by Verity Westcott Photography who’s ability to capture the light angles and mood of the day was extraordinary. The scale of the landscape and the delicate details of the shoot all seen through her eyes. 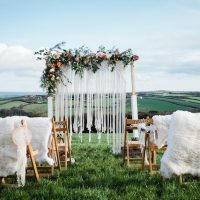 Inspiration for any couple that could dream of their perfect day set amongst these jaw dropping views with a standout look and feel on their special day… simply perfect ! 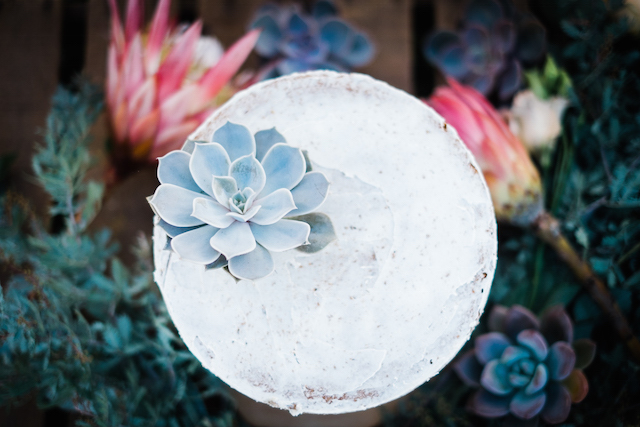 Let Blue Fizz Events create THE most perfect Wedding Celebration just for you at Trerethern Farm….. 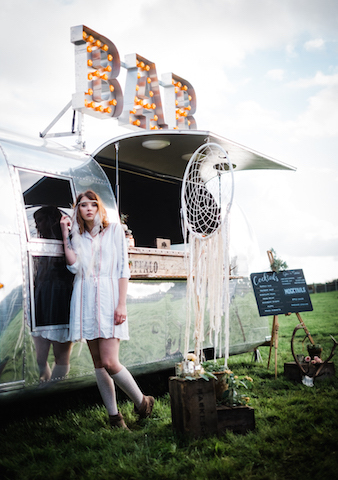 Simply get in touch, enquiries@bluefizzevents.co.uk we would love to hear from you!